Brooklyn Nets announced that Jeremy Lin is set to return to play in Denver on Feb 24 after the NBA All-Star Break. It will be almost 2 months since Jeremy last played on Dec 26, 2016 against Charlotte Hornets. Hopefully, the 3rd return is the charm so Jeremy can finish the final 26 games with strong performance. His return would energize the Brooklyn Nets who possesses the worst record in the league at 9-47, and more importantly some surprising wins under his leadership would help the Nets to persuade future free agents to come join a rebuilding Brooklyn Nets. And last but not the least, the wins will help the Nets marketing department to sell next season’s tickets in the off-season. Lin laughed when he described his first practice. “I didn’t play great, but I was competitive,” he said. During the break, Lin said he would follow a detailed rehab plan away from the Nets’ practice facility, and noted he will have two more practices with his teammates before the flight to Denver. Watching his teammates struggle without him has been difficult, Lin admitted. “I feel for the guys because they’re playing hard, they’re playing the right way, they’re moving the ball, trying to do the right things,” Lin said. “They’re giving effort, and sometimes, it doesn’t happen. Sometimes, we have a good lead, we’re in control, and we lose it. 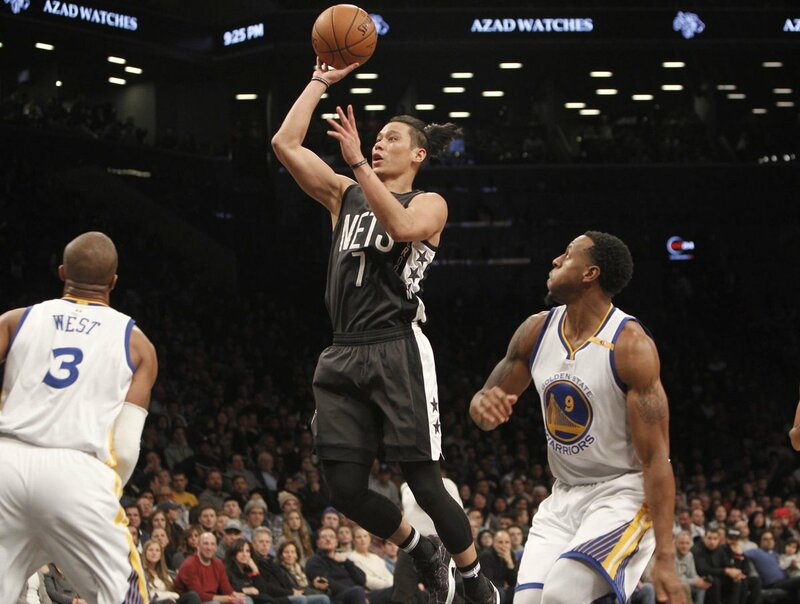 Let’s hope and pray that Jeremy can stay injury-free in the final 26 games and lead the Nets to some surprising wins and excite all Brooklyn Nets and his fans. Let’s go Jlin!!!! Spank the……whoever!!!! So eager to see him play. And have to wait a little longer because it’s a West Coast game. third is the word…wait i think the bird is the word. oh well. Great. I don’t care about the winning rate of Nets, just want to watch Lin lead his team to win a game. Then another, and another, and more and more. Lin is all smiles these past few days. I think he’s ready to go beast mode when he returns. Just hope the hammy holds up. Either way, he will be able to rest all summer and come back 100% next season. Is Jlin’s part of investment 15 mil or are all the investors total investment 15 mil? I thought i had become a basketballfan, but found myself not watching one game when Jeremy reinjured himself. But instead only watching soccer again. When Will another player appear who is as likable as Jeremy? I know for myself IT is not the Chinese aspect. In soccer i don’t root for Any Asian player, as long as they don’t wear a Ajax shirt. Very true not to mention soccer is more of a team game no “hero ball”. There’s something about soccer that even if a goal isn’t made it’s still fun and exciting to watch with the passing and defense. Also the furthest an Asia country, South Korea, has gone to was final 4? in World Cup. Europe and South America just have a longer history of football and stronger fan base in the sport than other countries. Not to mention many more teams to compete against each other and improve themselves. I used to root hard for kagawa, but then he ruined his career by going to Man U. He should have gone to arsenal. I’m hopeful asano will break into arsenal in a couple of years. Japanese soccer golden years was fun to root for but they were mentally weak. But teamwork and technical skills were really fun to watch. Endo and kengo nakamura were 2 of my favorite players to watch. No, part of the 15M is from Lin, I was a bit worried that he put too much money in one item. I didn’t watch the Nets while Jlin is injured, but I watched a lot of Spurs games. OT, not about Jlin or Nets. Anyone remember this crazy Q4 ending of Clippers vs Spurs? Jeremy uploaded this to his facebook page about 10 hours ago. It has already gotten more than 110,000 views there. 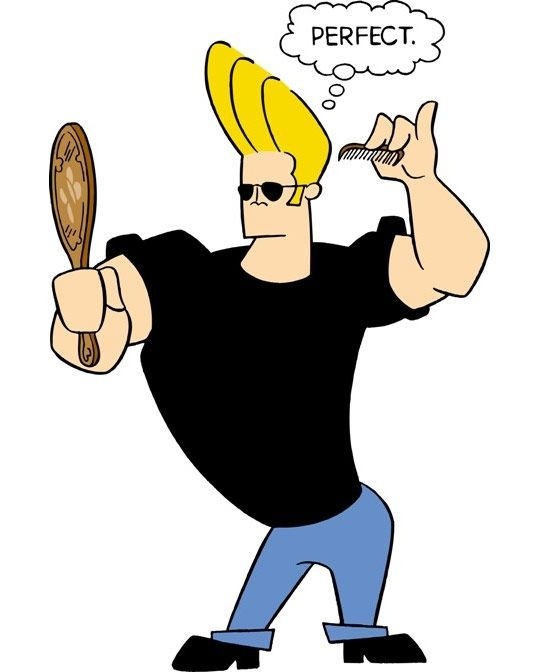 before or after the Johnny Bravo do? Tsue La Ling, a brilliant wingplayer. But he wasted his talent on partying with lots of women and fast cars. His moves taunting his opponents to attack him and the fans chanting “all balls to Ling” were famous. But again, before my time and feel no connection with him. How about Sohn, who plays for man u i think? Not true, many Korean players played important roles in the premier league. They don’t have a great story like Lin however. Don’t know him. Anyways can’t wait till the Nuggets game. partying with lots of women is never a waste. partying even with one woman is never a waste. not partying with even one woman is never a waste. These quotes certainly won’t be going on the flap of Scott’s upcoming book on success and leadership. LOL, what success? what leadership? Hope west coast’s warm weather will help Lin recovering completely. Some comments that I think are fairly new to us. Nick Young never shy away from dissing BS even when he was the coach though he had to pay for it with the constant DNP and lesser minutes. I think it was a good decision because it was a tanking year so who cares? Better than stay quiet and being walked all over. Not sure if Young asked for a trade or not but he loves the attention in LA so not sure if he’s willing to give it up for Boston, NY and reunite with Lin. He would be a pretty good starting SG or six man. He’s more genuine than backstabbers since after Lin left, Young still tweeted about Lin and praised his work with Hornets. You rarely see ex teammates tweet that about Lin. i think Casspi was another ex teammate to compliment Lin. There’s nothing enjoyable about the All-Star game. It’s 3 point and lobs and dunks. There’s no defense and a lot of showboating, but it’s not really entertaining. Not sure if they were bought or just bias but still getting to 4th was a big accomplishment. Hopefully it won’t be long before we see another Asian team get far in the World Cup again. Didn’t watch the allstar weekend competition didn’t know Nick Young was in the 3 point contest. Would be nice to see JLin in the contest some day. He’s pretty consistent when shooting stationary. Perfect picture choice! He’s gotta use that floater a lot more now. It’ll save him a lot of wear and tear. Oh, right. Forgot that. He is really the master, tanking with disguise. Here are some nice highlights from the 1987 All Star game. The game was quite competitive and they needed overtime to decide a winner. They are good friend? I hope Casspi can come to Nets this summer. So now he can stay no need to go back to CA…. It would be a bad idea to trade Lopez right now. His value is too low and the Nets never got to see Brook-Lin in action. Kenny said he wants to see them play together and they’ll have 26 pressure-free games to show what they can do. Whether or not Brook-Lin translates to a significant number of wins, it will boost Lopez’s value to play with a quality starting PG in competitive games. And then they can trade him if need be on draft night. Tottenham Spurs. He’s a good player. Will be interesting to see him and Davis mowing down the competition. i always thought this season a healthy casspi in a trade (for whichever of skil/bogs was not traded) with a healthy lin could have given the nets a decent season: lin/skil or bogs/casspi/booker/lopez. No,.. it’s more like no d-mn coach gave him da chance. So it shows the big loophole of the usa scouting system. I reallly believe in Brook. Hard to find a big with no big ego in tow. It’s much easier to get a defensive big to help with rebounding and toughness. A guy like Bismack Biyomboor Asik could be added much easier and cheaper. I do not understand this. He had all the time to see Brook-Lin when the season started, but he did not do it, to the point almost prevented it happening. Now he is saying he really wants to see them play together. Am I missing something here??? no..he has to be 30 and 16 to make allstar because he is chinese. Nets will not trade Lin now. jimmer just needs the ball in his hands. he’s playing like his BYU days. to be a backup? no thanks. “When a few TV types in the Houston press corps — a group, which lets face it, all but waged an official anti-Lin propaganda campaign for the Rockets during his tenure — shoot some queries at D’Antoni during the Brooklyn Nets visit to the Toyota Center in January that seem to indicate they somehow don’t realize that he coached Lin in New York, the coach is ready. Great article. It’s great that D’Antoni embraces and recognizes Linsanity instead of distancing himself from it which is what most of the haters seem to do. Wow, amazing. Anyone able to score that many points even against a non-NBA team must be decent. What an awesome JLin Nets Logo! I think Davis is a guy who can fit in with Cousins but we will see. Yeah, Jimmer would be real good for the Nets. Hope he’ll get his second chance in NBA. Wow, 73 points, great job there in any league! Very nice artwork and excellent penmanship. Chris Baldwin telling the truth like it is including what most fans have said this entire season. KA’s stubborn and half bucket motion offense is limiting Lin and his players abilities on the court. Same here, sounds like what KA said was just lip-service. He purposely refused to play Lin and Lopez together in the beginning of the season. Now he says he wants to see them player together? It doesn’t make sense when the most important thing is to build chemistry between the star players. Hope it works out, dude just needs anger management. Wow wow wow! As an anime fan, this is just awesome. Love it. Where can u buy this? now im starting to think lin should have go to new orleans… sure he would be over shadowed by boogie man and AD, but he would be on a winning team. he also could play pnr or pnp with both of them seamlessly and would rack up a monstrous amount of assists. dude needs to join Jimmer in the CBA. While being backup PG, no thanks. Again leading his own team to playoffs is the only way Lin will prove he’s an allstar. If true it means Melo continues ruin the Knicks and the losing curse continues. Not happening, even their dad said if JLin retires he’d play for Taiwan’s team. I can also see after NBA he’d join the team his brother is on to play together. Too bad, if only Lin could get Nets to sign Joseph. Bojan to Wiz for picks? Is his brother even good enough to play in the NBA? If not, Lin shouldn’t even ask the Nets to sigh him. height and size matter.. otherwise you have an uphill battle.. just like isah thomas. mda knows how to adapt and coach to the players strength even if they don’t know.. it..but he just wants a free flow running offense where bigs and post up ppl might have trouble with. so those are not his style even though the coach knows that the players strenght is in post up moves. thought they moved holiday, my mistake. So they really did it?? Wow! The main difference between Jeremy and Joseph is how they like to finish their drives. Jeremy likes to attack the rim and draw fouls while Joseph likes to finish with floaters and jumpshots, probably because he’s not as big and muscular as JLin. But I’d like to see JLin do more of Joseph’s floaters to save his body and save attacking the rim a lot until in the 4th quarter. It’ll keep defense guessing for sure. Wow. Magic is back in. Would Magic be interested in JLin as a big PG like himself next year? lin used to use floaters..until mchale doesn’t allow it.. but let’s pb do it.. and even though chandler did it and mchale told chandleer if he does that again, he will ahve to kill him..hahaha.. so mchale doesn’t like floaters, but allows pb to do it.. go figure. yet I cannot deny his bad attitude. As a team of any team, they rather have ppl who is coachable and talented, than a uncoachahle but even more talented person to be on the team. I don’t know Magic likes Lin or not but he said he will ask Kobe to get back since they both know how to win…. No. He did jump on bandwagon and said good things during Linsanity. He was silent when Lin under Byron fxxking Scott. He really like D’angelo Russell and worked out with him last summer. It was so hard to see JLin being mistreated by coach and media in Houston. Lakers was also not easy. The problem of Lakers is, great players don’t want to play under the shadow of those Laker legends. Same as the Hornets owned by Michael Jordan, they are not competitive in FA market. oh yeah, almost forgot about DRussell. His 3pt% is worse than Lin last year, only 27.66%. He is too small and can’t even play in China. No cursing/swearing or any substitute/variation. Keep the language to PG to be family-friendly. by chuck bricks and if u miss try again??? So imagine after going to the pelicans, cousins got hurt and can’t play much… wonder how everyone thinks about the kings now.. some must be like zamm..they knew something. 5 years later, Pablo Torre’s “From Couch to Clutch” is still a great read! Linna betta come back and play like crazy and win like crazy with him at da helm to show that he is a real starting pg.. (real starting pg meaning the media and other gms and coaches start to see it.. not ppl in this site..they don’t count in this sense) and they start winning, else you know that they will then look for new PG off season if there is no difference of him in there or not right. Hope he comes back after the Warriors game on Saturday. Lol. They will get destroyed. on the other hand… if they didn’t get destroyed…. When I moved to a house out the country in my 40s, I decided to join an old timer softball league to try to assimilate with the locals. I was one of the best players on the team but was told I didn’t fit in “socially”. I tried it again with another team when the pitcher on that team asked me to join his team. I was treated the same way. He saw what happened and he was so disgusted that he also quit that team. Having led teams in my past probably didn’t go over well with the locals. I know that Lin must have ruffled a few feathers that way as well. We’d like to believe that at the top levels of pro sports, winning SHOULD solve everything. It’s self evident now that this clearly isn’t the case. Just like those 2 softball teams I played with, they’d rather lose that accept me as a leader. How else can you explain Lin’s treatment with the Knicks, Rockets, Lakers and even Hornets. THIS IS WHY WE SHOULD BE THANKFUL FOR THE NETS, MARKS AND ATKINSON FOR THE FAIR TREATMENT OF LIN. No one else would even consider an Asian floor leader but them. What ever growing pains they go through may be clumsy and maybe even amateurish but at least they have total confidence in Lin. That in itself is reason enough for me to give them time to learn. I have faith in Lin to bend the will of the Nets braintrust to his way of playing. omg..WHY ARE THEY TRADING BROOKA! Because KA’s system doesn’t fit post players and he doesn rebound much or play PnR well. Nets also need draft picks to rebuild. Thank goodness, thought they’d never get rid of Bog. ka can play Lin for Nuggets game and rest him on back to back. It is happening. The Nets are too bad with/without Lin. It put Lopez on the block. They are confident on their development program. Lin would be under trade rumors in the future. Lopez have been rumoredbyo be traded this entire season. It explains why KA did all the lip service but never allowed them to play together. KA knew Marks was going to trade Lopez. As Lin fans, it’s sad to know the Nets is now on reboot mode. Lin will have no chance to play in post-season next year. T.Booker has better chemistry with Lin than Lopez, even the simple size is small. He has 8.6per game while Lopez’s only 5.2 under KA’s system. Do you guys think trading Lopez is good for Lin and Nets in the future? Trading him now doesn’t seem like a good idea to me. His value is too low. But trading him on draft night is probably good for Lin and the Nets. Brook is a great teammate but not an ideal center for the Nets (or Lin). Need someone more mobile to run PnR and defend PnR. Booker plays well when he isn’t going ball hog mode. The development for the veteran has worked since he can finally finish at the rim. They should win as a team and Lin will get decent stats no matter what. He is that good. But no point trying to carry this whole team though. They are that bad. Nets were always on rebuild mode, Lin knew that when signing. I believe Magic will know what he’s doing unlike Jim Buss. Hard to say. Depending on if Nets gets a mobile center with defensive talent. But I would give Brook-Lin a chance to play together for 26 games. First round pick would guarantee you nothing. @JLin7: Back in New York! Time to get to work! All-Star break is over. Only if we get a plus defender in return. With Lin I’m confident we have no problems on the offense side. However, you do have to worry about who is going to be scoring the points in the wake of a Lopez trade. (jeff hornacek on recurring hamstring issues with noah). (for all those who have questioned either lin or performance team for length and recurrence of lins injury/abscence). It’s the collective fear of Lin fans. ? Working on more hair and suits? or his game? Is he coming back yet? Not a trade news – just a report showing Lin’s star power on issue of the shape of the world ? what’s the best place to get single net game tickets? cheap maybe? Sources: Washington’s Marcus Thornton joins Nicholson in the trade package to Brooklyn. isn’t andrew nicholson one of khuang’s favorites? guess pb can now sk on LeBron’s now instead of hardenia. Holy smokes Bog was worth that much?! No wonder they were asking for 2 1st round picks for Lopez before lowering to one 1st and one 2nd. Watch Chris McCulloguh becomes a full time starter and blows up for Wiz just like Yogi! You can thank KA and Marks incompetence on this! lol that’s the guard Lebron wants?! Hopefully 2017 1st pick is a good one. fingers crossed. Lopez will stay I think…. I hope so. Love to see how the Brook-Lin connection work for the remaining season. JLin is ready to win! The Nets preparing for Friday’s game vs. the Nuggets. 1️⃣ Back on that grind??? Sound like he’s backing off the players system a little bit. Lin can play both positions at anytime. No problem there. however imo this goal would stand in stark contrast if not diametric opposition to the stated and practiced goals of the nets as an organization; ie. development, culture separated from winning, wins not important per se in a long term “process”. etc. etc. and the other point guard would be who? they plan on trading for one? they certainly dont have another now. in fact the most frequent comment of nets fans with lin out is: we dont have a point guard. back in the day with sacramento thornton was once a big scorer when mostly starting or at least playing big minutes; but that was like 5 or 6 years ago. still his arguably best run as a 15-18 minute a game guy came in his previous stint with the nets. maybe can repeat. Another ballhandler on the court frees up Lin’s scoring. Right now, good teams can just force it out of his hands and the other Nets are lost. The only bad thing is sharing the floor with a ballhog…but the Nets don’t have any of those. Bojan would hog sometimes but now he’s gone. Lin & LeVert? Lin and Whitehead? Once the minutes restriction is off, Lin can win 50% of their remaining games. For the purposes of Kenny’s statement, he could be considered a PG. He’s a guard who was a primary playmaker in college. Long-term, he’s best as a SG who can be a secondary playmaker. Lin / LeVert sounds good to me. Going to be waived according to Nets Daily. To KHuang this is like getting two firsts, hehe. I agree. I think Marks did a very good job on this trade. Bogs isn’t but keeping Otto Porter is. By dumping Nicholson’s contract, they now have extra money to offer Porter a huge deal. i would love to see Lin / LeVert backcourt which i’ve been wanting all season long. if KA really wants a lot of ball handlers then i would suggest this lineup.. I like LeVert’s length too. He reminds me of Khris Middleton, which is a very good thing. Harris at SF is a bit troubling…but I guess we need his shooting for Lin to drive. Would love to trade for a better SF. Someone like DeMarre Carroll. Marks is doing a very good job overall. He just got railroaded by Lin’s injury. His lone bad call was signing Vasquez, whose ankle was in worse shape than they thought (his new training staff goofed). Should have gotten Aaron Brooks who would at least know what he’s doing out there (unlike Whitehead and Dinwiddie). That was baffling to me, but I think Marks/Kenny believe in size/strength. Lin is big. Whitehead is big. Dinwiddie is long. LeVert is long. Yogi was short. Good trade but wish it didn’t involve CMC. nets apparently already waived thornton; i think the plan is to “stretch” his contract but dont quote me on that part. But if you’re really smart you develop and showcase Yogi and then trade him as an asset to someone that doesn’t consider his height a deal breaker. Not just let him walk to another team for free. Isn’t that what a good GM/coach would do to try and maximize whatever assets Nets have? One cannot help wondering… will there be another Nets trade before the 3:00 p.m. deadline tomorrow? The worst I’ve seen when he shot from 5 feet behind the 3 point line with still 20 sec on shot clock. It could change for the rest of the half season. That means trying to win with current roster and see what is the winning formula and roster. Kenny wants Lin to start on Friday even if he has a minutes restriction, which is different from last time. Maybe it’ll help him stay loose (instead of sitting after warmups). Well, Rick Carlisle is one of the very best coaches in the league. He knows how to maximize players’ talents. Pop, Carlisle and Stevens are head and shoulders above everyone else in terms of Xs-and-Os. Will he start Friday in Denver? Due to minutes restrictions, coming off the bench made it easier for Lin to finish games. But for morale and “Brook-Lin” purposes, they might as well start him even if he can only play 20-25m at first. yes, I wonder if Lin talked to KA and SM to promote the theme of winning in the last 26 games to create excitement. If KA still talks about development, there might be disconnect. My guess is SM and KA want to promote Brook-Lin a lot by winning so Brook’s trade values will be higher in the off-season. I agree.. Yogi’s short… lol! I have hope that after a period of Jeremy settling in, the Nets will start winning. My (totally unscientific) hope is that the mid tier teams get too worked up over their playoff seeding and lose their cool and the lower tier teams decide to tank for the rest of the season. As for the top tier teams, well they were always gonna be good and probably won’t be beat anyway. Can’t wait till the game! yea.. if that’s the case, wiz won’t bite and therefore no trade. they wanted bog and a potential rookie..since they are giving up a pick.. RHJ probably to the wizard is not worth much. Nets might have ask, but wiz might say no.. we want that rookie. might also be the reason why there was limited minutes in the first place ..so they develop rookies…but ka didn’t realize they were that bad…so this time, he is like.. ok we going in.. have to wein at least 30 games this season to be respectable.. 9 games is demoralizing that no playa will want to come here. ‘we have 2 starting pg’.. but it’s in not favor of linna.. This time it’s in favor of lin. JLin expects some rust and cobwebs after 8 weeks being out. I hope he doesn’t force things in the first 3-5 games so his body is slowly adjusting to game pace. But Lin spent much of the All-Star break in California, working out with shooting coach Doc Scheppler and a Nets team employee. Finally set to return, Lin and the Nets are hoping Friday serves as a reset — albeit a rusty one. Part of it may be a minutes restriction, though the performance team hasn’t yet determined that. woj reports nets get k.j. mcdaniels from rockets. (no other details as to what nets give up). ive always thought mcdaniels had potential. lol i mean play style. like is a a 3 and d type of player. Lol thank anyways. We will find out soon. I haven’t watch the nets in a while so lets hope he helps because we need a lot. has sat on rockets bench for 3 years. really no nba experience; i just remember thinking when the rockets got him that i thought he had potential. his one full year d league he was a good shooter and rebounder. (but then anybody looks good in dleague)–still nets are so bad outside of (imo) lin lopez booker (not sold on lavert yet at all and dont think any of the other young guys are ever going to “develop”) he certainly could be an improvement given some time. It is past 3 p.m. ET. deadline. Brook Lopez stays with Nets for now. ? We fans will see how the Brook-Lin connection work for the final 26 games finally. lol, didn’t Cuban think so high of Williams, would rather have him than Lin? I don’t want Lopez to be traded so glad he’s still here, but still time for Marks to trade him. It is 3:22 p.m. now. How about Nets picks up Terrence Jones? The real NY cross down drama stars today, sharply after 3.01 PM. Welcome back Melo. (Oh, forgot you never leave and never wanted to leave). Fortunately to have you still stuck with the Knicks. Low character. Remember, he kicked a homeless guy in the head in Portland. Just in case anyone hasn’t watched the Nets and want to know what’s going on with the team (for the record, yes I’m part of that crowd, which is why I’m doing this 🙂 ). People say Whitehead has potential to be an SG scorer. However, advanced stats shows him to be really, really bad at offense right now (-5 offensive bpm). It means that he was definitely thrown into the NBA too soon, but the good news is that he has shown that he is worth investing in. I can see him being sent back to the D-league to develop; I would be surprised to see him have significant minutes in the NBA this season. Haven’t watched him too much but he has had substantial minutes this season. He seems to be a very standard PG, nothing special about him but nothing bad either. From his advanced stats, his defense is not a problem but his offense is a bit lacking. Really high on Levert. He is only a rookie but already feels ready to contribute. Has an outside shot, does nifty drives, defends rather well. His advanced stats don’t look great (actually, they’re not bad compared to the rest of the team), but with rookies, I think you have to watch their play more because they are still adjusting their game. RHJ got promoted to PF, where apparently he is doing very well. He didn’t stretch the floor well as SF and suffered in his effectiveness because of it, but as a PF he can use his speed to create a good shot in the post. He defends other PFs very well too. Interesting to see his development here. Booker is now backup PF. His defensive BPM and rebounding is the highest on the team, but his offense is pretty limited. He was getting beat consistently by top PFs and didn’t provide offense to compensate so I think the benching in favor of RHJ development was the right idea. I tore into Hamilton at the start of the season because his D was atrocious. However, apparently it’s not that bad because his defensive BPM is pretty high compared to the team. I apologize Justin. However, your 3pt% plummeted. What happened??? Anyways, I don’t think much has changed here – he is our stretch backup center. Ironically, Brook has a better 3pt% than Hamilton, so I guess Brook is our stretch center? The only thing I know is that he has a 3 ball, is short for a PF, and he has played SF before. He reminds people of Booker with his energy down there, but his advanced stats show that he is NOT a good defender at PF like Booker is. Not sure what to make of him. Heard that he is slow on the court, but haven’t seen him play. Not terrible stats but not good either. Tall, quiet personality, showed flashes of scoring ability but never anything consistent. I really don’t know much more about him. Supposedly a 3&D player, but his 3ball is unproven IMO. It is .356 in D-league, and was decent in other places. People were wanting to see more of him in Houston before he got traded, so he seems to have some potential. Otherwise, have no idea who he is. Note: I put Skil as the 6th man because scoring is definitely an issue with the bench. I don’t think Harris is a starting SG but his 3&D potential fits with the starting lineup. The starting lineup is actually really interesting. The only post player is RHJ, and everyone else can stretch the floor and slash. Brook, Lin, and Levert all can create their own offense, and Harris can try to be Korver. It also doesn’t have giant defensive weaknesses (like Skil + Brook or Bog + Brook). This allows Brook to be traditional center shot blocker since the smaller guards can all switch to cover each other. The Bench Lineup is a giant question honestly. I put the backup SF as ??? because I don’t know who will be SF or PF (McDaniels? Nicholson? Does Acy get a shot at SF? I have no clue – haven’t seen a single game.) I think we have some interesting SF/PF questions to answer, like who can we plug in there to help out with the offense or spacing? Also, who can we slide over to SG since I don’t know if Harris or Skil is the answer in the starting lineup? All questions to answer as the season goes along. Overall, I think the team got massively upgraded even though it may not feel like we have any good pieces yet. First, Skil+Brook and Bog+Brook will hopefully never see the light of day again (or Skil + Bog + Brook… wow my eyes). That is a recipe for disaster defensively. And, all of our new players are all decent defensively or have tools for good defense. Second, we are going to reduce the playing time and role of players with bad BPM (Whitehead, Skil, Bog (he’s gone), Foye, Harris, Dinwiddie). They will be given less responsibility and more able to focus on the things they are good at, hopefully making them more effective. Third, Lin is back and he will be surrounded by shooters. Remember the days of playing RHJ and Booker on the court? Yeah… those days are over. There’s a lot to be excited about for the remaining 26 games. The season’s awash but there’s even more potential than at the start of the season for development, breakout and (finally) getting some wins. Haven’t watch much since JL7 out. Busy with other things… I’ll be rooting for …. the Nets to climb 3~4 places up by season’s end. Still like GSW Vs Cavs. Celtics Vs Cavs in ECF ? there was post on the other (what i call dark side) lin site asking what posters thought lins #s would be returning and someone put 20/8 and someone else said they thought those were his “per 36” #s in his previous 12 games this season: and that is correct. in fact those “per 36” numbers (obviously small sample size) are higher than any season previously including with the knicks! With only 26 games left it looks like that Nets 2017 1st round draft pick is going to have the highest probability of being the #1 pick. Unless Jeremy leads the Nets on a win streak and pushes them several spots up the standings. That would be awesome. let me repeat myself: he is taking more shots than he has ever taken per minute. obviously if hes not playing as many minutes he has less opportunity to take shots. playing time is not his to choose. your “he should start acting like it” is exactly the kind of factless assertion i was attempting to present facts to counter. Correct me if I am wrong. But that pick belongs to Celtics. The pick acquired from Wizards is Wizard’s pick which should be in 20ths. Starting PGs average 15 shots per game which means some take way more than 15. I did notice Lin taking more shots but with the minutes limitation and injuries it was difficult to see it happen every game. So long as Lin takes minimum of 15 or more per game he should be fine. If he’s feeling it he should take more shots. Wow I didn’t know Levert was moved to SF and RHJ to PF. I actually like that idea because it creates less competition for minutes. They already had Harris, Kilpatrick, and RHJ for SG. With Levert being a “PG/SG” he would’ve taken more minutes away from them. Besides Levert is definitely not a playmaker and more of a score first player. He doesn’t try to draw defenders to get his teammates open shots. Anyway I’ll give KA credit for this adjustment. RHJ has zero range shots so developing him as a PF instead is really smart especially his since his defense is pretty good. Also remember TJones freezing out Lin after he loss his leader and starter role. He’s a low character person, won’t be surprised if he’s out of the league soon. Now they want to see brook-lin?? So that means Lopez isn’t getting trade? Geez the news outlet made it sound like Nets were close to sealing a deal. I seriously think it would be dumb to trade Lopez, you can’t replace a beast start Center like that! So many teams suffer due to lack of a capable center. Lopez and Lin never had an opportunity to really work together on PnR so it’s not fair nor smart to just give up. NBA definitely won’t allow GSW to miss the finals they have 4 star players, they will get in. Also GSW vs Cav will make loads of money and noise they won’t let go of the rivalry any time soon. In all honesty, CMC is more valuable than Bog. He might blow up and end up as a starter for Wizards with his offensive skills. Except they only have 26 games left they would need to win 21 out of the 26 game for 30 games won. We’ll see, still don’t think Nets will trade Brooks unless Brook-Lin doesn’t work out which I doubt. Now that KA has finally unleashed PnR it’s time to see what Brook-Lin can do with may PnR plays! That’s where you’re wrong, Lin can score better with another guard who is a playmaker. Especially triple threat situations where he’s a cutting SG. When he’s the only PG, defenders have all the time to set up their defense and make things difficult for Lin! We’ve since how during Hornets, Lin was able to get pass the defender as a SG with a running pass where he’d easily get to his favorite spots to score! That’s what I’ve been hoping KA would do, instead during the start of the season Lin was iced out again when he was at the 2 guard position due to the motion offense and teammates being selfish and confused. With PnR finally be unleashed with Brooke-Lin things will definitely be different now. Really? Why they can’t keep the record like beginning of the season? 4Q collapse, losing 2 digits lead. Lost in OT. Except it look slike Kenny has been playing LeVert as a SF instead. I think it’s a smart move that way SG talents like Harris and KilPatrick will being scoring threats as well. LeVert can still do those things and better at the SF position. KA will or has been playing Levert as SF, Harris as SG as usual, and RHJ at PF. This is definitely the best decision KA has made that way all the main talents will get enough minutes instead of 4 guards (Levert, Harris, Kilpatrick, and RHJ competing for minutes especially when RHJ can’t score long range at all. pistons all the way down the comeback sat drummond/jackson the two players rumored available for trade; went with a lineup of ish smith (16 assists); kcp, harris at least one of the morris brothers and jon leur. easy to play small ball against hornets who have no hibbert (double shifted away) no hawes no plumlee who they got for hibbert/hawes because he is injured as is zeller. leaving least efficent shooter in the league frank the tank as the starting center and someone name something tobey as the back up. down the stretch they just took the ball out of kembas hands eventually putting kcp on him, forcing someone else to beat them. no surprise here. hornets with a horrible road record; surprise was it took the pistons that long to wake up and win. lol Booker is no longer a starter, he is now set at backup PF position like we’ve been saying all season. inglorious start to the brow and bogie show in nola as “The Pelicans entered the 4th quarter down 33 points, the largest deficit entering the 4th quarter in New Orleans (Hornets/Pelicans) franchise history.” (quote from espn stats and info). Gosh knowing the change in the positions LeVert (SF) and RHJ(PF) has played and the new starting lineup with the unleash of PnR for Brook-Lin has gotten me excited! Can’t wait to see what this starting lineup of Lin (PG/SG), Harris (SG), LeVert (SF), RHJ (PF), and Lopez (C) can do! 2 great talented but selfish big men don’t make them a great team. Well, it only cost them a season and Lin’s prime year. They’re missing this guy badly, doing stuff like this. He may have been the most talented young guy after LeVert. Well, good luck CMC. Not a fan of RHJ and believe Booker is way better at the moment, specially if Nets wants to win as many games as possible. To be completely fair, I haven’t seen both of them play in nearly six months so I can’t comment too much, only summarizing what I’ve read up on diff forums. While Booker is 6’7, he does have the weight and doesn’t get muscled up too often…RHJ will be out-muscle by bigger PF. how did he freezed out Lin after Lin lost his starting spot? Yeah, you can read some of the tweets by the coaches. “PF is RHJ’s natural position”. There’s an argument that he loves to attack the rim and has much more impact doing that from 10-15ft out than from 25ft. Uses his speed and moves to make shots for himself. He is pretty uncomfortable driving or shooting from 3. I think he’ll be matchup dependent as to whether he starts. You don’t want him going up against the bigger PFs in the league. Then again, Booker couldn’t really stop the better PFs either, so arguments could be made either way. hahaha all these rookies is like zammm lin’s back.. not much playing time for me! Not that impressed by LeVert..I think he’s going to be better than RHJ but doesn’t think he’s going to be a star. there’s a reason why Levert was moved to SF so he can start Harris as SG as well. Levert can pass but he’s a shoot 1st guard while Harris creates faster ball movement and shots for his teammates. Well we will find out who the 2nd ball handler is by tomorrow. It’ll be a 3 guard starting lineup with LeVert a pointguard playing SF spot. I disagree….At best, I see him as a Kerry Kittles type of player…His handle is okay, nothing that tells me he can be a PG…Not a Grant Hill type of player…Far from it. The Nets are going to be more exciting than the Knicks in NYC in the remaining games. Rose said the Knicks are “Super team” but they end up like this. Their current players are too old to develop. Did anyone watch the Movie “Eddie(1996)” about someone coming from nowhere to save the Knicks? That’s exactly what Linsanity was and why the hype only happens to the Knicks. This team is only a toy to rich-kid James Dolan who can’t be fired. The way he treated Charles Oakley will scare all NBA free agents this summer. If you look at minutes number, you’ll see that Bog, Skil, and Brook have the highest minutes of the season (around 1400 minutes each for a ~13500 minute total) They equaled to roughly 30% of the minutes. Add in Whitehead, Foye, Harris, and Scola and you’re pushing 50% of total minutes played. Ouch. hahahah ARE YOU READAY FOR SOME BBALL! so well, I guess at least it was good that when they didn’t try it , lin was out with that injury..not that it’s good to have injury.. so now.. there is NO EXCUSE NOT TRY IT AGAIN. Very excited about tonight! 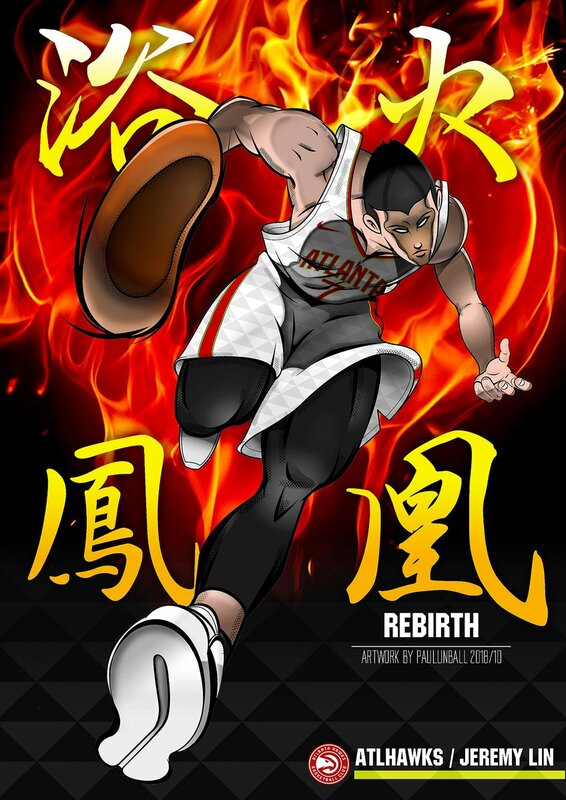 Pray that JLin can finish the season without injury and achieve the goals he so richly deserves! Finally, a new JLin game thread! G57 Jeremy Lin Returns to Help Brooklyn Nets vs Denver Nuggets ???? Lin might start w/ restricted min #pray4health?